Torsion clocks are ornamental, mechanical clocks that tell the time with the aid of a pendulum. They use torsion springs and expose the internal mechanism with a glass case, which allows people to watch the torsion pendulum work. These clocks can also be called 400-day or anniversary clocks because they can run for a very long time without needing to be wound (usually a year). Although some can even go a thousand days without winding, it&apos;s best to do it at least once a month to make sure the time is accurate. The reason why they&apos;re capable of this is that the torsion pendulum rotates very slowly, which takes little energy. They can be difficult to work with, however, and might not be as accurate as normal pendulum clocks, since it&apos;s possible for the oscillation to be altered when the temperature changes – this change mainly affects the spring mechanism. One oscillation can take between 10 to 20 seconds. Even though the torsion clock has an extremely delicate mechanism, this makes it an example of fine engineering. Setting the time is proof of that. To do it, it&apos;s necessary to avoid moving the torsion clock after locking the pendulum balls or taking them off, because even a slight jolt can damage the spring mechanism. Once the clock is in a safe and levelled place, the pendulum balls can be centred with the clock base and given a small push to let them swing 180 degrees. You should wait at least fifteen minutes before setting the time, so you can be sure of the swinging speed of the pendulum and then set the correct time by moving the minute hand to the number you desire. 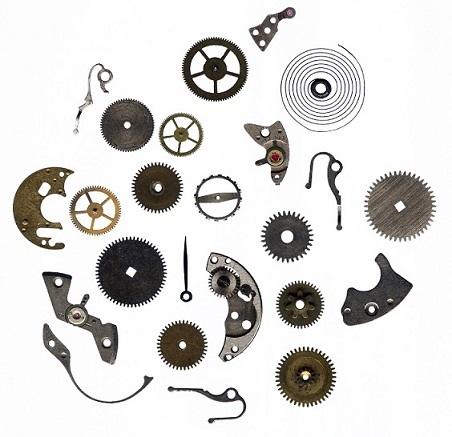 So it might seem like the mechanism is too fiddly, when in reality it&apos;s these small and fine components that come together to create a clock that can go months without ever needing to be winded. The suspension spring is, perhaps, the most delicate of all the components in this clock: if it&apos;s bent or distorted, then the clock is no longer functioning as it should. The purpose of this spring is to suspend the pendulum in the air and allow it to swing back and forth. It&apos;s usually attached to the clock with a screw and, while putting in a new one, you need to be careful not to bend it. If you don&apos;t know where this spring goes, holding the suspension up to the clock should give you an idea of the height and, consequently, the place where the new spring will need to be put. If you want to know more about springs and everything they can do, or if you&apos;re interested in our other services and products, contact us or give us a call on 0208 663 1800. We&apos;re also present on social media, so keep up to date with our latest news via Facebook and Twitter.